Cars, trucks and heavy transports bustle down the busy thoroughfare known as Preston Street / Corso Italia, in Ottawa, Canada. A vital link between country and city, a highway link between the province of Quebec and Ontario industry, here the traffic is often deafening, swallowing up the street in rush-hour madness. But once a year, the street assumes shades of its other half when Corso Italia comes alive and the motor traffic is supplanted by a promenading multitude that saunters amidst food booths glistening with roasted sausages, speakers blaring Italian pop music, and smiling children who scurry between their parents and relatives. During the annual event known as Italian Week, 500,000 pairs of feet pound the pavement usually reserved for spinning tires. And so Preston Street / Corso Italia lives its schizophrenic nature: half road, half pedestrian mall, in an uneasy balance of Mediterranean pleasure and North American utility. At any instant, the street is more than the eye can see, more that the ear can hear. It is a setting waiting to be explored and explained. It is a place whose value lies in the events leading up to its present-day form. There is no result or end, only a succession of stages, some good some bad, that characterize its nature. Every Italian who has ever lived in Ottawa has an association with Preston Street; the image of the community is steeped in its memories and meanings. Ottawa is a city of distinctive districts. For the most part, one usually knows where one is simply by the general characteristics of the surrounding area. The Sandy Hill district, with its turn-of-the-century freehold Victorian latticed homes, holds nothing in common with the clap-board, shotgun box architecture of Mechanicsville, though both were developed in the late 1800s. The Preston Street area is such a distinctive neighbourhood. The uninspired architecture is at first overpowering for its drabness. This, of course, is the first superficial view of an outsider. Little on the street can be cited as distinctive with any unanimity. But there is an historical building on Preston Street that is not only the oldest on the streetscape, but contains, perhaps, one of its most controversial, yet most relevant, stories. That building is The Prescott. Most agree that the building, located at the corner of Beech and Preston Street, is one of the area’s oldest structures, and probably the most stable anchor and visible point of orientation in the hierarchy of the Preston streetscape. Giuseppe Costantini in front of The Preston Hotel circa 1935. Founded in 1934 by partners Giuseppe Costantini and Antonio Disipio, the hotel was the result of a local petition to City Hall for a bar license. But securing such a license required rentable rooms for eventual stay-overs; and so the Prescott Hotel was born. Once the government charter permitting liquor in the hotel was acquired, the location quickly established itself as a cornerstone of the community, a favourite spot for the locals, as both Costantini and Disipio proved themselves able hosts and entrepreneurs. Business was good and the future seemed secure, so little did they suspect that life on Preston Street was soon to change forever. The 1930s witnessed the height of the wave of Fascism in Europe; a world war loomed on the horizon. The political repercussions of a war with Europe were beginning to affect the growing migrant communities across North America, who were targeted as possible fascist sympathizers. Governments reacted to the perceived internal threat of sedition by placing sanctions on those immigrants – German, Japanese, and Italian – they had previously welcomed. While the United States applied detention only to German, Japanese, and Italian nationals, and not to US citizens or long-term US residents, conditions in Canada were different. Internment of Canada’s undesirable foreigners began almost immediately; German-Canadians, Japanese-Canadians, and Italian-Canadians were interned at different times during World War II because they were considered a threat to national security by the Royal Canadian Mounted Police. There were 26 internment camps in Canada during World War II. Individuals deemed dangerous or otherwise sympathetic to foreign nations from central Canada were sent to Petawawa, Ontario. Following Italy’s June 10, 1940 declaration of war against the United Kingdom, Minister of Justice, Ernest Lapointe, signed the order that designated Italian nationals and Italian-Canadians naturalized after 1922 as “enemy aliens.” (1) Across Canada, about 6000 men and five women, between the ages of 16 and 70, were arrested without charges. Their numbers included doctors, lawyers, carpenters, bakers, pressers, cab drivers, priests, candy-makers, and postmen. Of this number, about 5300 were quickly released on condition they report monthly to local authorities; but approximately 700 Italians were interned in camps across the country. Sketch of Giuseppe Costantini by artist Guido Cassini during Internment, currently displayed in the Canadian Museum for Human Rights in Winnipeg. Courtesy of Trina Costantini. Although many Italian-Canadians managed to carry on a somewhat normal life under the transparent umbrella of “enemy alien,” existence became much more difficult for those whose families were officially branded with the traitorous mark. In Ottawa, as in every single other branded community, the cost was tremendous and marked it for decades, both financially and psychologically. 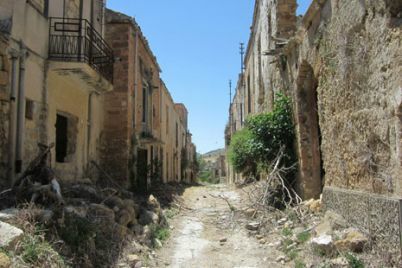 Households were disrupted, properties confiscated, jobs lost, friends separated, suspicion planted. Individuals arrested were fingerprinted, photographed, and interrogated. Relatives who remained at home suffered physical and verbal abuse, public discrimination, and personal humiliation. When an individual was released, a denigrating admission of guilt form required signature. The form attested possible and potential crimes for which the individual had never been officially prosecuted. In Ottawa, five men were taken from their homes and workplaces by officers who offered no explanation and acted with disdainful impunity. Made to feel like prisoners in their own country, these men were detached from the warmth of their families and deprived of their self-esteem as men and honest wage earners. Among these was Giuseppe Costantini, a naturalized British subject, co-owner of the Preston Hotel. When Costantini was interned, he, like all the others who suffered the unexpected humiliation of seizure, was forced to surrender his freedom in front of his bewildered family and children. Arrested on June 10, 1940, he was taken to Carleton County Jail, eventually placed on a train for Petawawa, and not released until eight months later – on February 7, 1941. Because of his internment, Costantini lost his job as Baggage Master with the CNR (though he would regain it after his release and would ultimately work his way up to Assistant Station Master). But he also was prohibited from any dealings with the Preston Hotel. His partner in the Preston, Antonio Disipio, was also seized in the round of arrests that fateful week, but was released after an eight-hour interrogation. Disipio was not allowed to return to work. Ordered to cease operations, The Preston Hotel was managed by a City Hall appointee and eventually closed by the RCMP until war’s end. All this occurred while Disipio’s son, fought in England as a member of the Canadian Armed Forces. Given Costantini’s internment, the hotel was not permitted to hold a liquor license; the property, after all, was half-owned by a politically marked Italian. Costantini was unwilling to give up his partnership and claim to the hotel. In order to safeguard it while interned, he had surrendered his share of the business to his lawyer, John Ebbs Senior, who then approached Disipio. As a Canadian, the lawyer was able to reacquire the hotel’s liquor license and keep the business afloat during the murky days of government oppression. The Preston, now Prescott Hotel, continued under the sole ownership of Disipio; John Ebbs Senior remained a silent partner of the business up to 1979, when his share was purchased by grandson Tony Disipio. 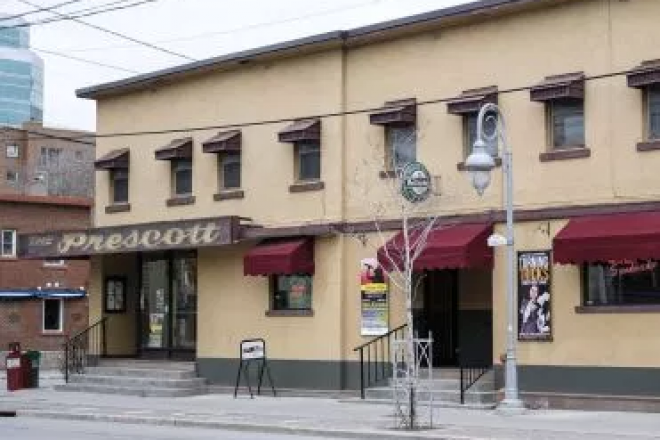 The Prescott has progressed steadily through the years, and has become an established Preston Street icon. It has been home to family celebrations, weddings, baptisms, and confirmations. It has served the community well in its sponsorships of sports teams and community events. It boasts a hard-core clientele, dedicated to its meatball sandwiches, sworn to its home-style pizza; it is a destination on most Friday nights for revellers young and old. 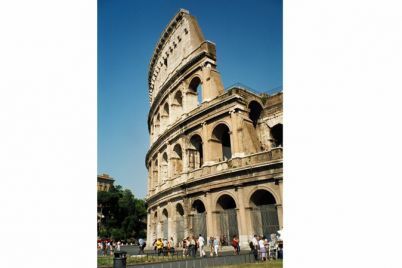 It is indeed an institution, a relevant fixture not only in the Italian community, but on the city’s entertainment scene. Today it is a purposefully retro greasy spoon; an iconic throwback to its days as a public house. The spirit of its memory lives on in the drinking habits of its fair patrons, in its classic sandwiches and pizzas, in the care reserved for its place on the Preston Street. Its checkered history is a part of Village lore. (1) Individuals were rounded-up by the R.C.M.P. or the police pursuant to a federal Order-in-Council what called for “the registration of enemy aliens and the prohibition against the possession of use of firearms to all persons of German or Italian racial origins who have become naturalized British subjects since September 1, 1929.” Commons Debates, Vol.1, 1940: 658. (2) Redress Committee Public Hearings, Toronto, 24 March 1991. (3) A Toronto Globe and Mail article entitled “All Italians and Germans Required to Register” and dated June 15, 1940 summed that: “it is the law and not a request that all persons more than sixteen years old who are of German or Italian racial origin must register.” A National Shame: The Case for Redress February 1992: 11. (4) On a personal note, Julius Molinaro, a personal friend and mentor during my years as a student at the University of Toronto, was arrested with his father and brother and escorted by the police to a large automotive building. There they joined many other men of Italian origin. Mattresses were laid on the floor side by side. During the day, the men were taken outside for exercise, where they were ridiculed and insulted by walking onlookers. They were never told why they had been arrested, nor how long they would remain in custody. Their families were not informed of their whereabouts until much later. Julius would later serve in an intelligence position with the Canadian Army and become Professor Emeritus of Italian Studies at the University of Toronto. (5) See also A National Shame: The Case for Redress. A brief to the Government of Canada on the violation of rights and freedoms to Canadian citizens of Italian origin during World War II. 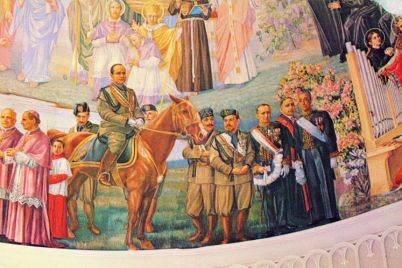 National Congress of Italian Canadians, February 1992; Franca Iacovetta, Roberto Perin, Angelo Principe, Eds., Enemies Within: Italian and Other Internees in Canada and Abroad (Toronto: Toronto UP, 2000). Franco Ricci is Professor of Italian Studies at the University of Ottawa. Author of numerous books, collections of essays, and scholarly articles, his most recent work, The Sopranos: Born Under a Bad Sign, received considerable acclaim in the realm of pop-culture. He is currently completing an historical chronicle of the Italian-Canadian community of Ottawa.